Often you may find yourselves skeptical that television actors can sing live as well as they do in the TV show they are on. Questions of whether they are auto tuned or have other studio help to make them sound as good as they do on the show. In the past, shows such as Glee have proven that real singers with amazing voices play those television roles by taking the show on tour to perform the songs featured on the show. Nashville is no different, these actors are not just real, talented musicians but also very gifted songwriters and performers. Having done live music television shows alongside the earlier seasons, Nashville has also, like Glee, taken their actors on tour to showcase their musical ability in a live setting. 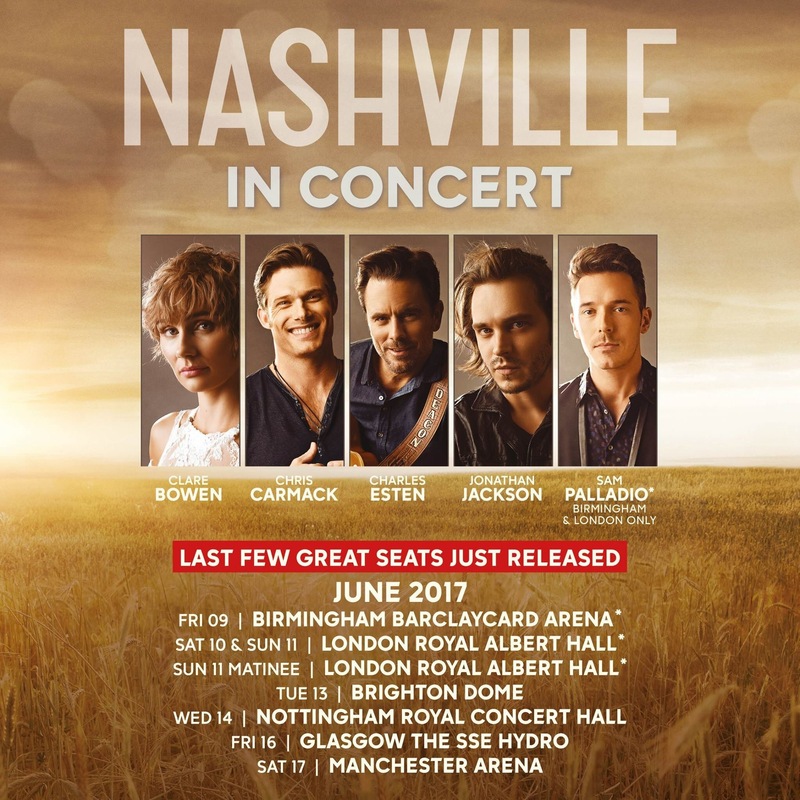 Last year was the first tour for Nashville in the UK. 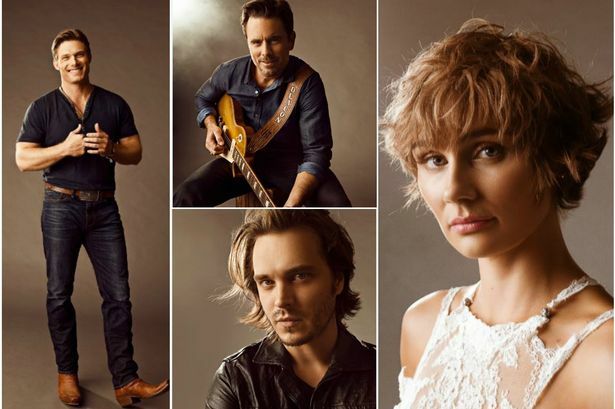 We were treated with Charles Esten (Deacon), Sam Palladio ( Gunnar), Clare Bowen ( Scarlett) and Chris Carmack ( Will Lexington). This years tour had the same cast as well as the addition of Jonathan Jackson (Avery) and I know I am far from alone when I say that his name added to the line up was worth buying tickets to the show alone. Not only has this tour upgraded in members but also on tour dates and more impressively venues. When it was announced that the show was to be held at The Royal Albert Hall for their London date, most fans knew that booking was a must, what an opportunity to see the cast of such a beloved show performing in such a historic venue. 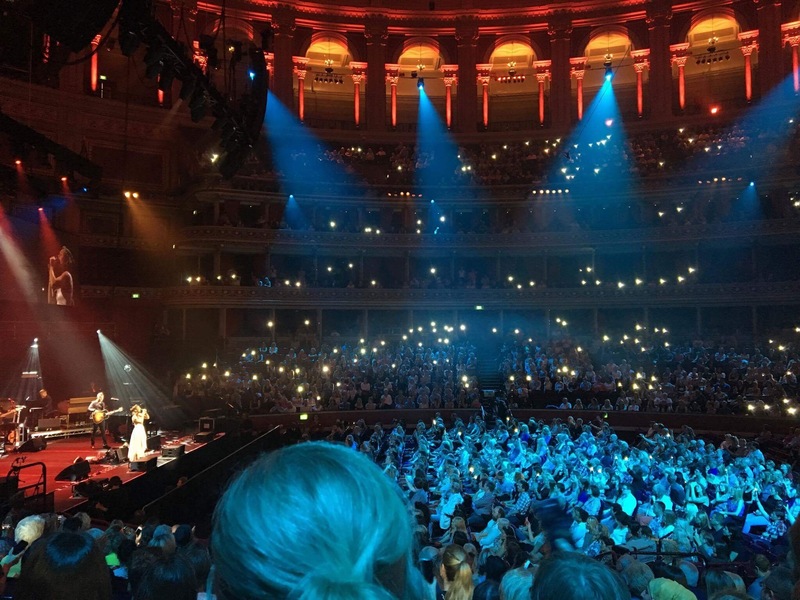 The Royal Albert Hall is a bucket list venue for most artists, so to play there and sell out a show is something most would not expect to happen. 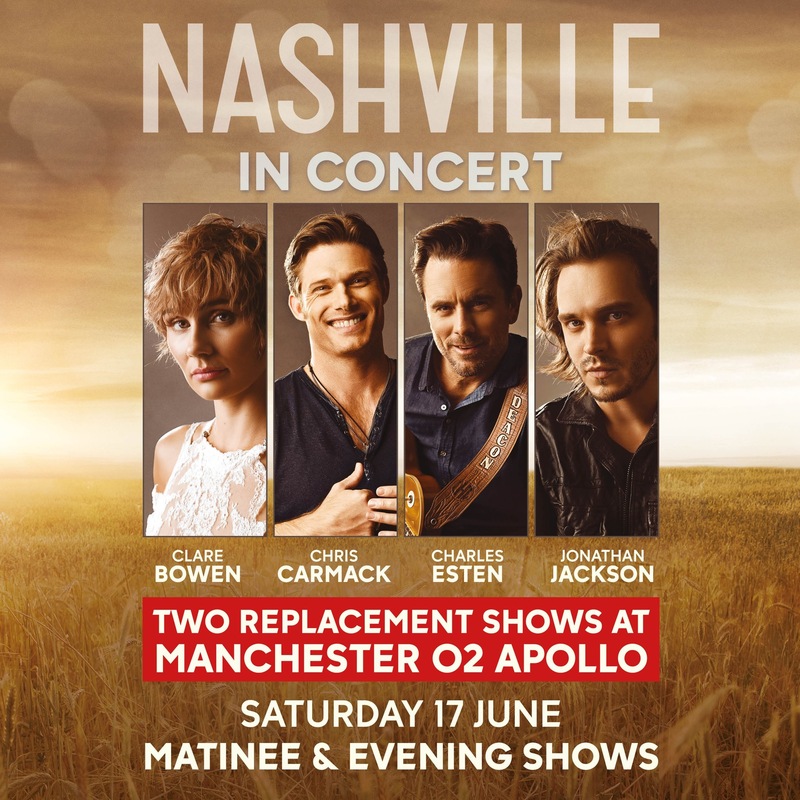 Not only did the Nashville cast sell out The Royal Albert Hall but they then added two extra shows there which also sold out as well as other venues across the UK. This made it even more exciting. When I committed to attending the tour, I had one concern. Would this tour have the exact same set list as last year and be the same show apart from the addition of Jonathan Jackson? Well, thankfully, it wasn’t. Not that that would have been an issue for most people as of course a lot of people would have been seeing the show for the very first time. My friend and I attended Sundays matinee. The hall was fully booked and looked glamorous as it filled with not just country music fans but with people who were simply just fans of the show and don’t usually listen to country music. I was overwhelmed by the shows support. I had no idea just how many people that show had reached and touched and it was quite a beautiful sight to see. Everywhere I looked there were people in Nashville T-shirts, particularly ones saying Deacon Clayborne and there were others in Bluebird Café T Shirts. The Royal Albert Hall had set up two large screens either side of the stage so that everyone could see, it appeared that the show was being filmed too, so I hope that a dvd is in the works I mean it should be, a dvd of Live at The Royal Albert Hall is a sure sell. The stage also featured a large back drop with Nashville In Concert in large letters. The eager crowd got going as soon as the TV screens went on to show backstage clips of the promotion of the tour featuring all who were playing. It was like being at a convention. The moment a cast members face and name appeared on screen, the crowd started to cheer. Most cheers went to Chip Esten which was hardly surprising seeing as Deacon is pretty much the most popular character of the entire show. It was Charles Esten who kicked off the show with the song Buckle Up. I personally think that was a smart move else a majority of the fans may be sitting there waiting for him so it was good to have him pumping the crowd up and creating a buzzing atmosphere to get the show rolling. Next up was Chris Carmack who shouted out “Do we have any Will Lexington fans in the house tonight” which was met by a roaring crowd. He began his set with “What If I Was Willing” from season two and probably Will’s most memorable song. He then went on to perform a new song from current season 5 called Spinning Revolver which had a rocky edge to it and translated very well in a live setting and was certainly a song that everyone was going to remember and look forward to on the show. Chris is quite the guitar player and showcased his talents throughout the show. After Chris was the one I was most excited for, Jonathan Jackson, my absolute favourite. The crowd went wild as he walked on stage. He addressed the audience with stating how Avery started off as not a nice character, hit rock bottom and later redeemed himself. He then thanked the audience for sticking with Avery and the show. Jonathan began his set with Keep Asking Why from season one. Jonathan’s voice is undeniably flawless. 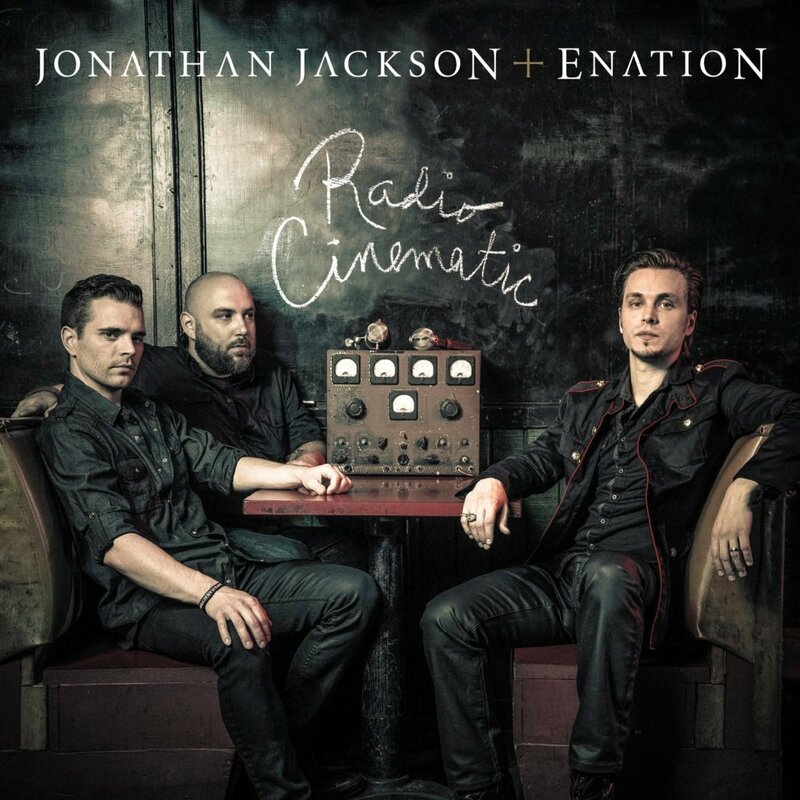 As well as being on the show, Jonathan is a frontman for his band Enation who are more of the rock genre but can cross over to country rock. Jonathan’s voice certainly suits that style. Now I knew Jonathan could sing well but my goodness, he followed his first song with Love Rescue Me (U2, Bob Dylan) and really took the show to a whole new level. With such raw emotion and soul, Jonathan invokes music, he breathes in every word and looses himself within the songs and their words and he had the audience in awe and left them with goosebumps. Before he even re opened his eyes after the last note, the audience gave him a standing ovation to which he opened his eyes too which left him speechless. The UK’s own Sam Palladio followed. Quite well known now to the UK fan base, Sam never disappoints, he has become like family as he is so humble and down to earth. I love Sam, I love his personality and his energy and he comes across quite geeky which is so adorable. He is a charmer for sure and very funny. He began his set with I Will Fall from season one. This song is stunning and so emotive and Sam delivered it in a beautiful and poetic way. He followed it with original song Headed For The Fire which showed his rocky, energetic side and proved his talent as a songwriter. The song was memorable, fun and rockin’. Sam remained on stage as he asks the crowd if they remember his band from the show, The Triple Exes. He then invites Jonathan back on stage and introduces Clare Bowen. Clare pranced on the stage next lightly skipping rather dreamily as if she was a fairy or a gelfling (Dark Crystal reference) looking like a fairy too in her floaty white silk dress and glitter on her face and in her hair. Together, they performed Borrow My Heart which was an absolute pleasure to see live and very exciting. The three of them performed just as well in person as they do on the show showing a real connection and relationship between the three of them but a non complicated one like the show has ha! Sam and Jonathan departed from the stage leaving Clare to perform next. Such a weird and wonderful character in person, Clare jumps with joy and beams with energetic gratitude for her audience. She invites her fiancee Brandon Young to the stage to perform with her and they perform Longer. Brandon has a gorgeous voice with impressive range and can sing better than most chart toppers. I will definitely be keeping an ear and eye out for his music. Explaining her experience during last tour, Clare tells us of a co write with Amy Wadge who co wrote Thinking Out Loud with Ed Sheeran. She performs the song they wrote together called Little By Little which is a song about loving one another and taking care of one other. The song was very crowd pleasing and once the crowd got a hook on the words, the whole hall sang along. Charles Esten made his return to the stage to sing Hand To Hold with Clare which prompted them to enter the crowd and hold hands with the audience. One lady was such a huge fan of Charles that she got to dance with him for a bit and have a huge hug, she was so excited that she was on a high for the rest of the evening. Charles performed Simple As That solo before inviting Clare, Chris and Sam back on stage to perform the anthemic and inspirational song Stand Up. Sam Palladio played drums during the song and whilst they all tried to get a polite, Royal Albert Hall crowd to stand up, only a handful did, but I think that was down to people not being sure if they should. Something about The Royal Albert Hall makes you hesitate. The second half of the show met the same structure in terms of each act singing solo and then in parts as a group or a duet. The highlights for me included Sam singing his original song Wake Me Up In Nashville which he wrote for his grandad and always starts with the story behind the song. I never tire of it. I don’t think Sam realises how good this song really is, he should be very proud. Story telling seems to be where Sam works best. He has such an infectious and comedic personality that the stories he tells are always enticing. 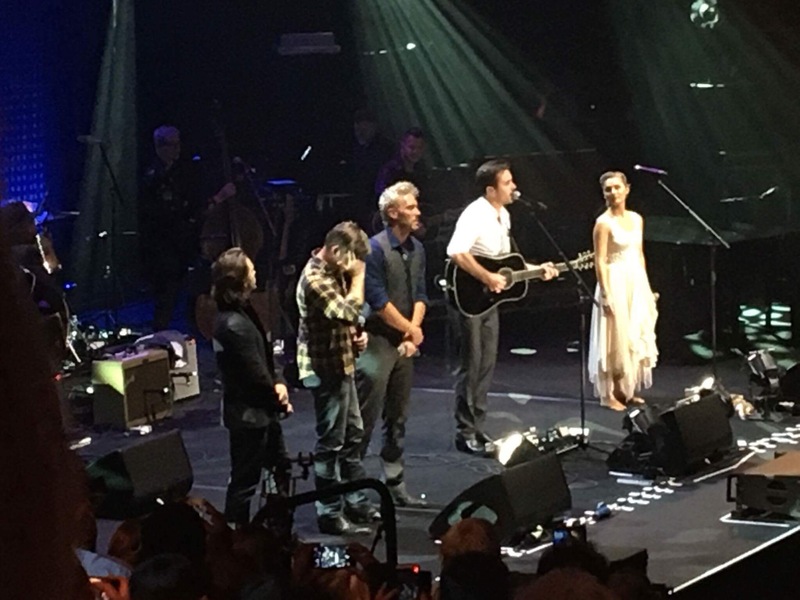 Fade Into You – Sam Palladio with Clare Bowen was also a beautiful moment but I think the show stopper and the moment that grabbed the audience and captured the most emotion was Jonathan Jackson singing Unchained Melody. What a captivating and hauntingly beautiful moment. Again, he had a standing ovation and made it almost impossible for anyone to follow him. Clare proved her vocal talents with the vocally challenging Black Roses which was one of the most challenging times for her character in the show. She sang every note perfectly and really blew everyone away. Charles, ever the charmer stood on stage to bring up the subject of that pesky Luke Wheeler and how he dared propose to Rayna and his shock of her saying yes. “He maybe Rich” shouts Charles, “he may be handsome and he may be a huge star….but he ain’t me” this brings on the storyline inspired song He Ain’t Me which was an energetic force and an up beat melody. I can’t not write about how phenomenal the band were. They played their instruments to the highest standards and delivered a solid performance which gave the show its energy and volume. The show ended with a group performance of David Bowie’s Heroes, slightly countrified and had Chris Carmack on the saxophone. The energy was raised even higher with the group singing the chanting One More Song and they then left us emotional with a group performance of A Life That’s Good which has become the heart of the show and the song that connects the show and fans in unity. Overall the show was fantastic, a truly live music masterpiece which should not be overlooked. Do not make the mistake in thinking these guys are amateurs as they are far from it. Together and individually, the cast pulled out all the stops and brought a truly magical show to an audience who will never forget it. Each performer brought more than just their talents. Charles brought the charm, Jonathan brought the soul, Chris brought the energy, Clare brought the innocence and Sam brought the heart.